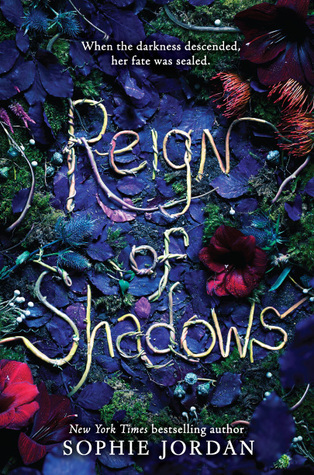 Reign of Shadows is a unique twist on the Rapunzel fairytale and it's definitely one of the best fairytale re-imagining/retellings I have ever read! Although my ARC copy is only 292 pages, there is a shocking amount of growth and information packed into it. Reign of Shadows really caught me by surprise in its plot and character development, as well as with its brutality. I was not at all expecting it to be so gruesome, but it really raised the stakes in the plot. Jordan's writing is emotive, and it really paints a clear and complete picture of the setting and the characters. Plus, there are nods to Tangled in it, which I LOVE. Luna and Fowler are really adorable together! I love their banter and how they both equally depend on one another. I really fell for these two—they are such a beautiful couple. I predict that Reign of Shadows will be one of the best books of 2016. I highly recommend this book to everyone, and especially to those who has been looking for an AMAZING fairytale re-imagining/retelling with a breathtaking romance—and these are really hard to find! I have no idea how I'm going to survive waiting for the next book—the ending is insane and makes you question how are you going to survive until the next book. 1) I really love the world-building in Reign of Shadows. You are given the right amount of details to be completely immersed in the world and to understand the setting. The details are not overwhelming and they make everything easy to imagine. 3) There were a lot of gruesome details that I wasn't prepared for going into this novel, but I felt that they were well-written and made me feel immersed in the setting of the plot. I'm not usually a fan of graphic details, but I think it was completely necessary to take the world in Reign of Shadows seriously. 4) The development of the main characters and their relationships with minor characters were impressive, especially considering the fact that this book is under 300 pages! Jordan manages to cram in a lot of information without sacrificing her writing or the flow of the plot. 1) I really think that this book would have benefited from being at least 100 pages longer. Some of the details are a bit rushed because the book is so short. For example, as stated above, I really loved the romance aspects in this book but the relationship moved forward a little faster than I would have preferred. I just wanted more of this book to read. *SPOILER ALERT: From this point on, read at your own risk! 2) Luna is blind, but at times, the writing made it seem like she was able to see things. Words such as "glance" and "see" were used often enough that I forgot several times that she was blind until I was reminded of it later on. It was sometimes confusing how Luna couldn't do simple things because of her blindness, but was somehow able to do more complicated things despite it. 1) "Afraid to be left alone with me? I have my clothes on this time." "Should your naked form frighten me? I can't see you, remember? So I needn't be repulsed." He laughed at that, and I stopped, quite undone by the low, smoky sound. It rippled over my skin like the stroke of fine ribbon. His laughter stopped abruptly, almost as though it startled him as much as me. When he spoke again, his voice held no hint of that laughter. "Rest easy, I've not sent many females running away screaming before." 2) "She scanned the firelit faces, searching for one, her lips moving, mouthing what I knew was my name in a soundless plea. It was there, wordlessly humming between us. She clung to the feeble hope that I would come. That I would stop all this from happening. That I would keep my promise. I shook the bars with impotent fury. The king finished and silence fell again. The gray deepened to purply black and the fog melted, giving way for night again. I scanned the distant tree line. Dark shadows swelled from the thicket, black, growing claws stretching across the barren land toward her. My chest hurt. Each breath an agony. She held herself so still. Her gaze trained on the faces watching her. Family. People she'd known all her life. No one to help her. I'm here. I'm with you. I willed the words to her as though she could hear them." 3) "Whatever it took, whatever words I had to say, I would make her understand that she didn't have to do this. That we could be together in Allu. We would. "Let her go," Mirelya murmured as though she could read my thoughts. Maybe the old woman could. "She's trying to do the right thing. Let her go." Swinging my pack over my shoulder, I passed her and headed for the door, calling back, "She can try all she likes to do the right thing. But so will I." Ahhh! I am so excited for this book! It sounds SO good! And it's so amazingly beautiful and I can't wait to read this one. February is too far away! It's really good! I was instantly pulled into the story and the characters. You'll love it! It is a Rapunzel retelling! AND there hints of Tangled in it! I really hope that you like it when you get to read it! Thank you!! I'm really glad you're getting this book and I hope that you enjoy it as much as I do. We'll totally have to talk when you finish it! After I finished it, I immediately tweeted Sophie and asked if there was a sequel..because it couldn't end that way!!! I cant wait to read this!! cos it's Sophie Jordan!! I haven't read any of her other books but I definitely need to now! It's an amazing retelling! So well done and with great twists to the original tale. Because it has very very beautiful story and Sophie Jordan is the best, thank you for the chance!!!! AMAZING REVIEW!! I can't wait to read this book, Tangled is my favorite Disney movie! Thank you! I love Tangled! I'm so excited for this book and your review has only upped the anti! This is just so much awesome! 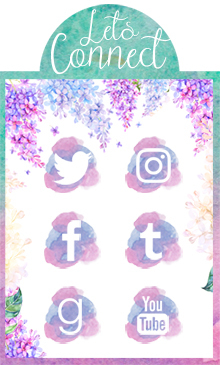 Thank you for holding this giveaway! As for this book...1 that cover is fab...2. its Sophie Jordan so ya know..and 3 FANTASY! No problem! I love giving books away! GAH! So awesome! Thank you!!! Look at that gorgeous cover! I absolutely love Tangled and Rapunzel so looking forward to this. There are some great nods to Rapunzel in this book! I haven't read very many Rapunzel retellings, this looks good! Adding it to my TBR now! Omg I didn't realise this was a retelling!! NOW I WANT TO READ IT SO BAD!! And I'm kind of excited that it's small, because I tend to like books that have fast pacing. ^_^ Thanks so much for this fabulous giveaway! It's really awesome but I would have liked it to be a little longer lol. I hope you enjoy it as much as I do! I LOVE all of Sophie Jordan's books that I have read and I really really want to read this one! Thank you for this giveaway. This book just looks SO. GOOD. I didn't know it was a twist on Rapunzel either- I just loved the idea of a dark, dangerous setting and people on the lam! Thanks so much for the chance to win it! A lot of people are saying they didn't know but the hidden tower thing in the synopsis is what tipped me off then of course I talked to the author to be sure lol. I can't wait for this to come out! It sounds so amazing!